Friends who had already experienced this same rafting trip five years ago, recommended Western River Expeditions. So, we had some idea of what to expect. 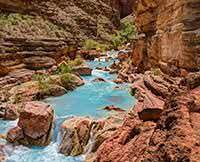 Our Colorado River trip exceeded our expectations. The "J" rafts are the only way to go! You can experience riding the pontoons and get up front and personal with the rapids. This is the most exciting, "River View". The "Canyon View", affords one to sit atop the supply boxes to enjoy the rapids and magnificent views of the canyon and wildlife. To enjoy a break from riding the waves, one can retreat to the "Eagles Nest" and dry off. 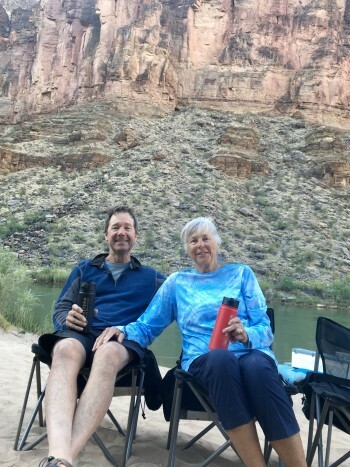 Our guides had years of experience and their enthusiasm for sharing the wonders of the Grand Canyon/Colorado River were enlightening. We had talked about taking this trip for years. Don't wait. Go and experience a lifetime of memories and getting to know a wonderful group of new friends.